When it comes to enterprise security, let’s just say there’s no rest for the weary. Cyber threats continue to escalate, not only in the volume of cyber-attacks but also in their sophistication and complexity. Take for instance the high-profile Equifax breach that exposed sensitive data from some 43 million US consumers in 2017. (Source: Dark Reading). Or take Cisco’s recent warning that half a million routers are networked for an upcoming cyberattack. Cisco’s cyber intelligence arm, Talos, found that routers and storage devices in at least 54 countries are currently infected with a type of malware that uses code previously used to attack Ukraine. Security experts report the most likely actor is a ‘nation state’ and that the malware’s code overlaps with versions of the infamous BlackEnergy malware. If that’s not enough to leave businesses and consumers shaking in their boots, ransomware such as NotPetya, have shown that hackers have a never-ending imagination when it comes to thinking up new ways to gain access, steal data and extort money. (Source: Z-Lab). With large-scale attacks possible, and even more routine, enterprises of all sizes are looking for smarter ways to secure corporate assets and meet compliance requirements. Many are turning to Security-as-a-Service solutions to complement and beef up their enterprise security strategies. Offered as a managed service or as a cloud-based solution, or both, security services enable enterprises to adopt and implement robust, scalable and cost-effective security solutions, while also relying on outside security experts to set up and manage the security infrastructure. Let’s evaluate what to look for in today’s newest security-as-a-service offerings and review tips for selecting the right solutions. Moving beyond prevention to detection and response - Conventional security solutions have been aimed primarily at protecting the network perimeter. Next-generation firewalls and intrusion detection systems (IDS) operate under the assumption that bad actors are external, and that if an address originates from an internal cloud or network segment, it’s “trusted.” However, as applications and data become blended in hybrid cloud environment? where an organization maintains legacy solutions in conjunction with cloud-based workloads? the assumption that users inside the network are trustworthy becomes muddied. Cloud deployments can also leave security gaps and blind spots, leaving systems open to hackers who understand how to exploit these targets. To supplement perimeter security solutions, security services need to deliver more proactive approaches focused on detection and response, rather than just protection. Security information and event management (SIEM) software and services combine real-time analysis of security alerts generated by applications and network hardware. By monitoring the logs of your IT assets and business systems, teams can help identify and mitigate possible attacks. Security services leveraging a Security Operations Center (SOC) can coordinate and correlate multiple data streams collected, and other data sources, to better detect threats. Don’t overlook mobile security - Today’s workforce is more mobile than ever before. Organizations need to stay agile and support their employees, contractors, and partners while keeping their data, tools, and resources accessible, yet more secure. Companies require security services that cover areas such as identity and access management (IAM), mobile device management and secure mobile application management. 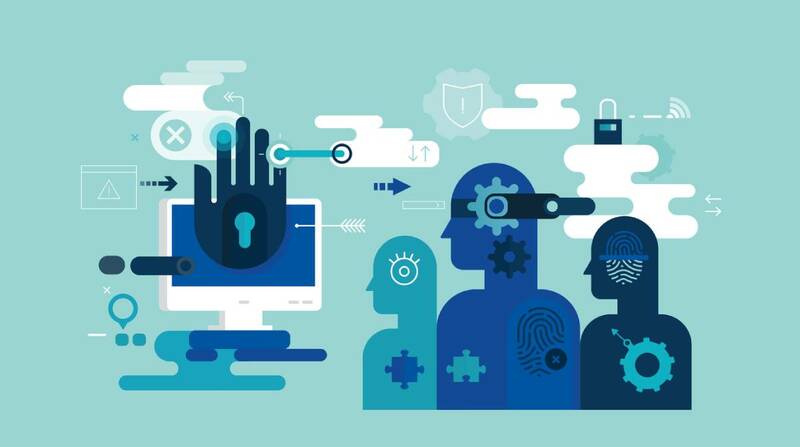 With identity-driven security services delivered via the cloud, companies can safeguard resources on-prem and cloud workloads with tools like multi-factor authentication. More in-depth visibility into the user, device and data activity with these security applications also helps teams identify high-risk usage of cloud apps or any abnormal behaviors. Security-as-a-service solutions with behavior analytics can also detect mobile attacks by uncovering suspicious activity and pinpointing threats before they cause damage. Look for a threat intelligence framework to power ‘threat hunting’ capabilities – A benefit of leveraging security services from a trusted provider is that they can connect individual security tools which can gather and present threat content (about inbound and outbound network traffic) in more meaningful ways. With greater threat intelligence, analysts can put together an accurate threat profile that enables organizations to respond to emerging attacks effectively. Threat intelligence powered by machine learning, artificial intelligence, and the ability to continuously analyze threat data from multiple external and internal sources delivers, unmatched insight. This threat intelligence provides new perspectives and more meaningful patterns of data that can speed up threat investigation and remediation. Managed security providers can also deliver ‘threat hunting’ services which leverage threat intelligence data to proactively identify suspicious behaviors using tools that analyze network traffic, study interactions with possible bad actors, and perform deep-packet scans, and Dark Web analysis. Today’s digital initiatives require a secure, reliable network infrastructure to run effectively. To keep networks, data, and applications safe, companies are turning to innovative security-as-a-service partners for their ability to innovate and adapt to new cyber-attack techniques. Businesses shopping for security-as-service options should look for solutions that move beyond prevention, to detecting and responding to possible threats.